Melissa Conradie / Conradie Event Design has done many events for us at our lakeside home and numerous other locations, ranging in size from 30 people to 600+. All of these events have been outstanding and total successes. I strongly recommend her. Working with Conradie Event Design and team was simply amazing!!! First off, Melissa is very warm and kind, but also incredibly hard working and professional. My new husband and I are NYC based, while my parents are usually based out of Chicago. Melissa is the only person who is Michigan based (our wedding took place in Traverse City), so having her there to arrange vendor meetings, research, and run errands while we were states away was vital. She also made herself extremely accessible to us through phone and email. There were some days we emailed dozens of times back and forth and we never had to wait long for a response. I cannot tell you how much of a relief that gave me when I couldn't be in Michigan myself. Melissa really took control of everything with helping plan: creating schedules and to-do lists, contacting vendors, collecting linens, etc. She even helped us the day before the wedding with a hair extension fiasco (as she was prepping for the rehearsal a few hours later). The day of the wedding, Melissa and her team turned it out! They made sure the bridal party was on schedule, but always comfortable and never rushed. The whole day went better than I could have ever imagined, all thanks to Melissa and her team. The whole experience was enjoyable and I would recommend Conradie Event Design to any couple. I am certain, no matter what kind of wedding you want, Melissa is planner you need! 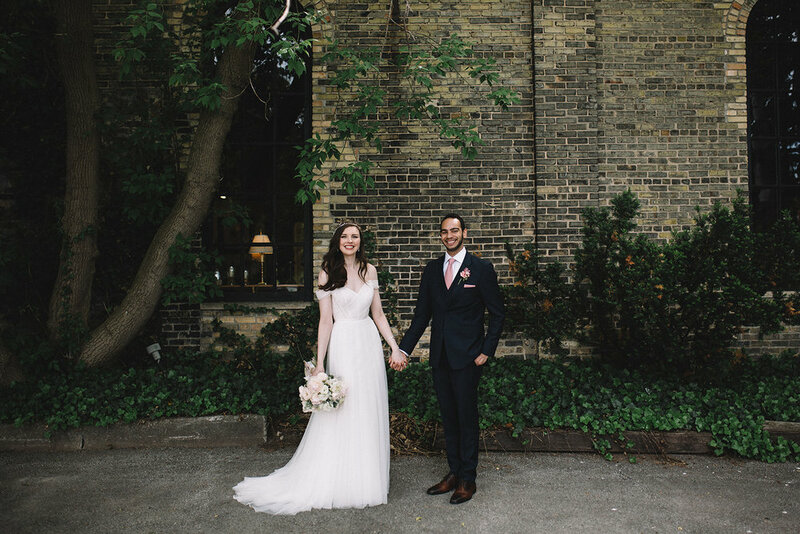 Melissa Conradie was truly an excellent choice for assisting us with our Traverse City, MI destination wedding. Melissa successful managed all aspects of our daughters wedding including locations, choice of vendors and all financial arrangements/contracts. 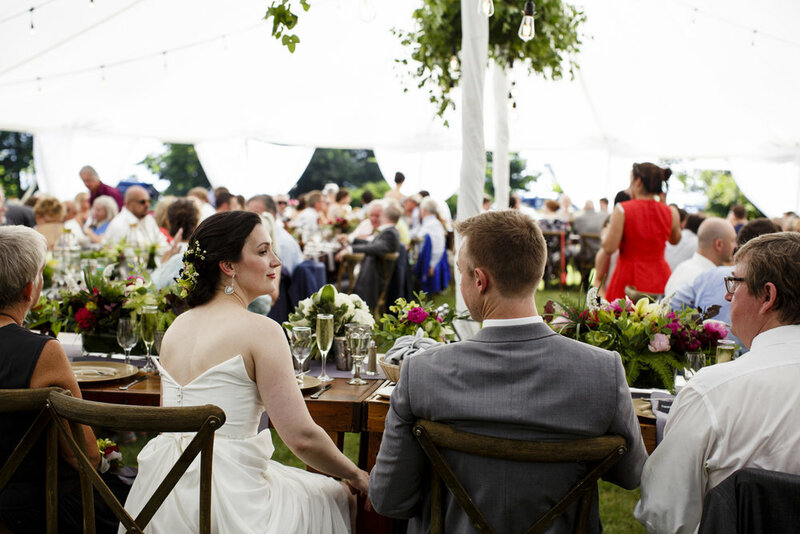 Melissa's attentiveness to all details was consistent throughout the wedding planning and preparation process. This could have been a very stressful situation, given the bride & groom are in New York City, we are in Chicago, and the groom's family/friends are from the Dominican Republic - all coming to our wedding in northern Michigan. Melissa maintained constant contact with us, always promptly returning emails, phone calls and texts. She handled herself professionally in all aspects of this endeavor. We are grateful that we chose Melissa to assist us. Her efforts are both recognized and greatly appreciated. She's dedicated, sincere, patient, positive, creative, tactful, and supportive. It is difficult to say in words how wonderful Melissa is at overseeing all the details, and how great she was to work with. We will always be grateful that she created and coordinated a wedding that gives us all joyous memories....forever. Melissa is just wonderful. She and her assistants were so cheerful, so on it, so graceful and so fun in everything they did. And they did a lot! We had a 200+ person wedding at a remote location in Northern Michigan, with a large percentage of guests coming from out of town. Three days of events. An over the top performance/art installation. They handled it all like magic. Vendors, budget, contracts, transportation, guests, questions, planning--all were sterling. We knew about her through a recommendation from a family member's wedding, and I'm so glad we did. When we heard she was free for our date I knew everything would be OK. They are the best :) You will have the most organized, upbeat, seamless wedding if you're lucky enough to get Melissa/Conradie Event Design/their crew. Cheers! It began with a phone call. “Are you available to help with a wedding on October 22, 2016?” The answer was yes, and thus began a relationship with Melissa Conradie that culminated in the wedding of my daughter, Kelly Korbel, to Bobby Busley. During this year Melissa was intimately involved in all facets of the wedding from securing contracts to sharing insights on the chosen venues while keeping our budget in mind. Her calm demeanor coupled with a get-it-done attitude was a direct reflection of her experiences planning weddings! This wedding involved a large number of guests from multiple states and countries which made “wedding week” a blur, yet because of Melissa, we enjoyed multiple special events with friends and family members because Melissa had details down so pat there were no worries since we KNEW Melissa had all the final details under control. Thank you, Melissa, for your contributions to this successful event. We love you and would highly recommend you! Thank you! Thank you! Thank you! You are unbelievable. I seriously would not have done any of the things I was hoping for our wedding day without you. We appreciate your attention to detail, knowledge, wisdom, class, love, support, creativity, patience, and every little thing you did to make our wedding the most magical, beautiful day we could have ever hoped for. We have been so fortunate to have Melissa plan and coordinate both our daughter Kellee's and son Bobby's wedding and receptions. These types of major life events can bring on much stress and worry, but we never felt this as Melissa is a true pro and has a very comprehensive approach to all of the aspects of planning such events. And she is a warm hearted person who truly CARES about those that she works with. Everything was perfect for both of our kids events. Every detail at the venue was covered, as well as with the rehearsals, the flowers, photographers, etc. She had the ceremony orchestrated perfectly! These were truly memorable occasions for our family and we are so fortunate to have had Melissa guide us through with such grace and professionalism. I would recommend Melissa to anyone who wants to make sure their event has the best possible outcome. I am so grateful that we had Melissa as our wedding coordinator. Initially I thought I could be this DIY bride and I wouldn't need much help but as time went along I realized just how little I knew about what all went into planning the wedding of our dreams. When we reached out to Melissa I could tell she really understood what I was looking for and once we hired her she took over all the stresses I'd been feeling. She was able to do everything I wanted to do myself. But I didn't have to do anything other than explain the vision and she took care of everything!